Disclaimer: This is a Sponsored post written by me on behalf of Biz Stain Fighter. All opinions are 100% mine. Will I get the stains out of daughters old baby clothes? My daughter is having a baby girl this summer and I am so excited. My daughter was the oldest and only girl that I had. I had four boys after her. 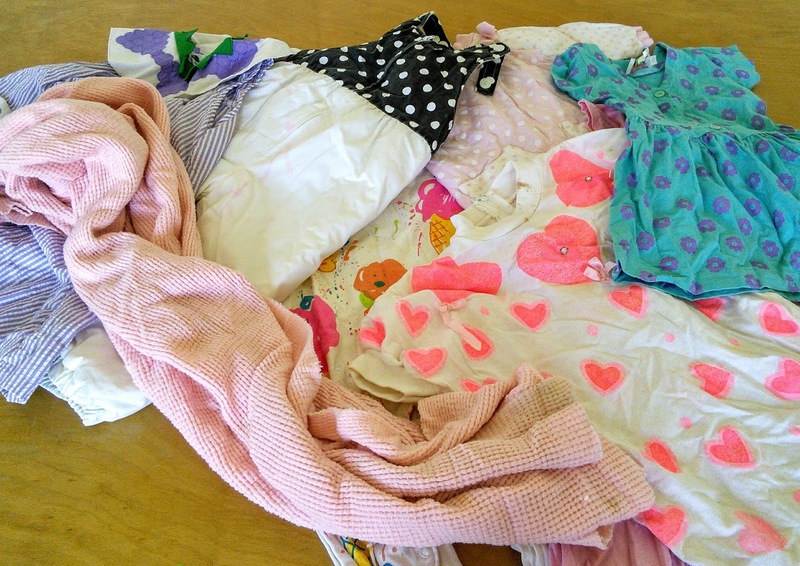 After I had my daughter, I saved her baby clothes in a big storage tub in the attic in hopes of using them for the next baby. So when I found out that my daughter was having a girl, I remembered that I still had her baby clothes in the attic. I thought that it would be a cool idea to clean all those cute baby girl clothes and give them to my daughter so she could use them with her baby girl. I had my teen retrieve the baby clothes from the attic so I could wash them. I was in for a surprise when I opened up the container as the clothes looked kind of gross with way too many stains and they had a bad smell to them. 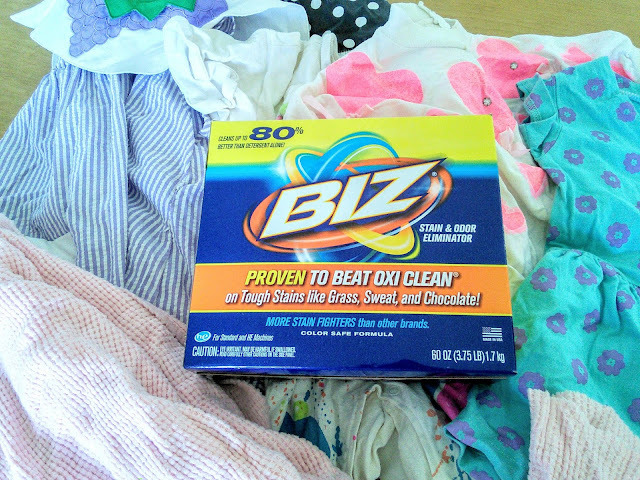 I was about to throw away all the baby clothes until I remembered the box of Biz on my laundry room shelf. I remembered how this powerful stain remover removed turmeric from my bathrobe and other stains from my boy's clothes so I had to see if it could remove stains from baby clothes. The clothes had been stored in a hot attic for 20 years! Can Biz remove all the stains from the baby clothes? I dumped all the stained baby clothes into my washing machine and added 5 cups of Biz powder. The website said to add 1/2-1 cup of Biz powder to one gallon of water. I then set the washing machine to warm water and soak. I started the washing machine and the machine filled up with water and agitated the clothes. My washing machine has a soak feature that is for 4 hours but I wanted a longer soak for 8 hours. Since I was home for the day, I set an alarm to restart the washing machine after for hours so the baby clothes would soak for eight hours. I wish that I could have just turned off the washing machine but my machine drains if I do that. After the eight hours past, I drained the water from my washing machine and then added 2 caps of Biz liquid along with a capful of detergent to the baby clothes. Then I did a heavy duty warm wash. So how did the baby clothes look after soaking and washing? The stain on the collar on the first outfit did not get removed but the stains on the other two outfits were gone. These clothes had been stored in a hot attic for 20 years and the stains were most likely there when I stored them. The rest of the baby clothes did look nicer, especially my daughter's old blankie! The key to removing stains is pretreating before you wash them. Also, stains are harder to get out once the clothes have been put in the dryer. Biz powder is recommended for presoaking stains on clothes while the liquid is great for pretreating stains right before the wash. These two products are always in my laundry room. 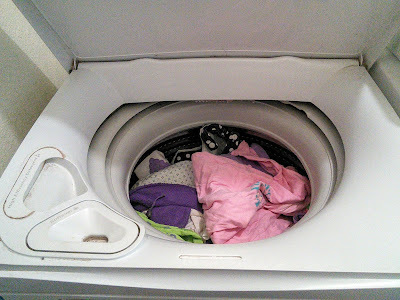 As a mom to 3 smelly/dirty boys, I need all the help I can get on laundry day. My daughter was so excited to see her old baby clothes and I am excited to see my future granddaughter wear them. This grandma to be also sent my daughter home with some Biz liquid as babies can be messy. 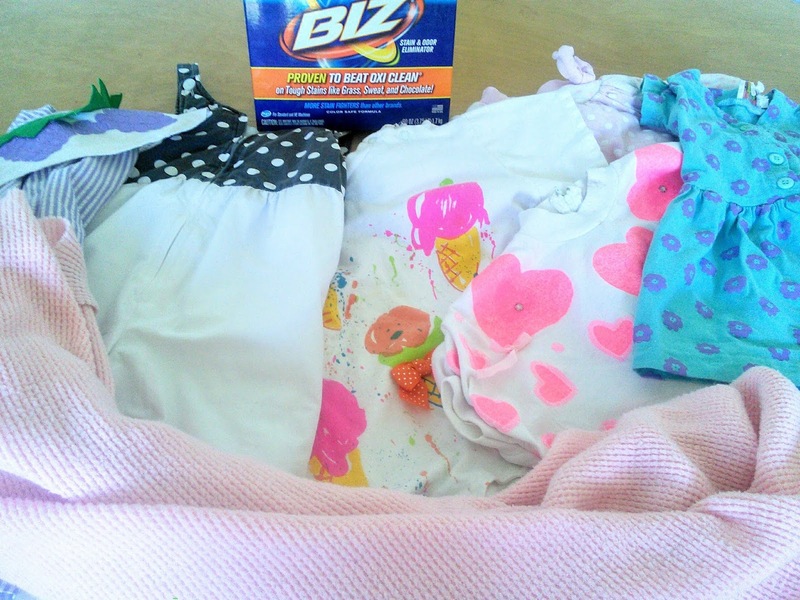 My daughter will be able to use the Biz to spot treat the baby stains and in the whole wash for clean baby clothes. What stains do you have that need the power of Biz? 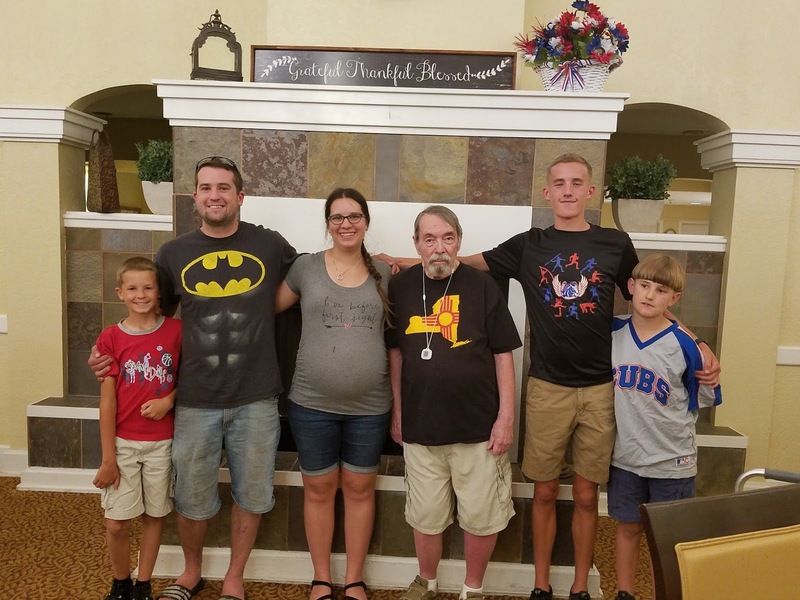 Enjoy this photo of my kids with grandpa. Love that baby bump on my daughter! Ahh I'm horrible at washing. If the washing machine fails in removing the stain then I'm done. I miss my mom at these times. A good detergent surely helps. I have 2 young daughters so will have plenty of chances to give this a try. We have thrown away so many of their clothes due to stains. Thanks for the suggestion. I'll keep this in mind. I do have stains that I can't seem to get rid of, so I'm going to try this. How sweet. I don't have clothes from when I was a tiny human and I would love to. I'm so glad that Biz did it job and helped you recover the clothes. My mom had a similar power detergent, as me and my sister were artist and used to paint our clothes as well. Biz looks like a great product and would be really helpful. Thank you for sharing this! This is such an insightful post. Most of my son's baby clothes have so many stains on them! I will be trying this! what a great post with wonderful tips, this would work great for my friends with newborns. I would need this for current clothes to be honest! And I will remember that when i am a mum! Love the photo!And, I love saving baby clothes and toys to pass on to the next generation. I'm so glad you were able to save them and get the old stains out. Man this would have been so helpful about a decade ago! My daughter ruined so many of her clothes! I never heard of Biz before this post. I am so glad this helped take out the odors and even stains from 20 yr old attic storaged clothing. I definitely need a good stain remover for my kid's clothing. I'm going to check this one out for sure. I love clean clothes without stains. Sounds like this product is pretty heavy duty! 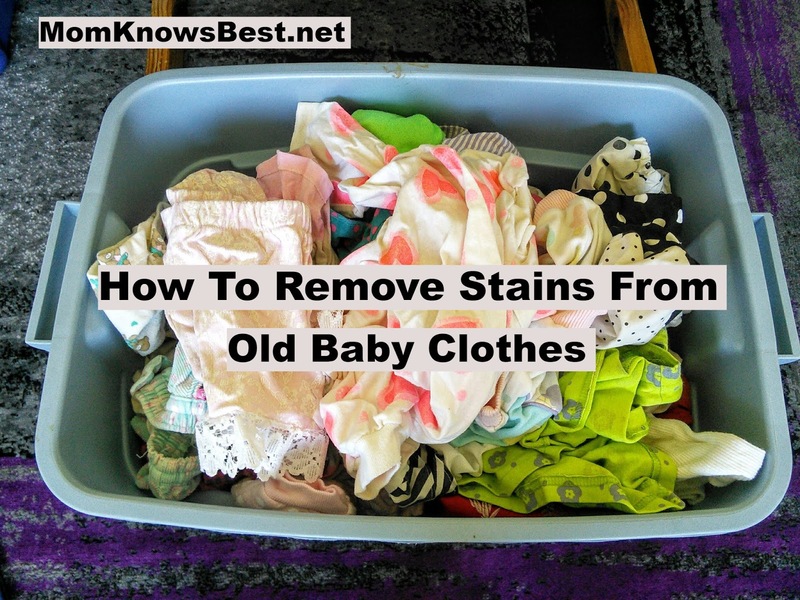 Glad it removed most of the stains and you can pass on the clothes to your future granddaughter! Gosh I totally need to try this! My pups stain my clothes all the time! These are some really useful tips! I don't have kids but I get coffee stains on my clothes all the time. Going to try it out! My daughter is just starting to eat which means food stains. I need this for her clothes to help with those peas and green bean stains. This is such a great post. I remember how hard it was to get stains out of my sons' clothes when they were both babies.